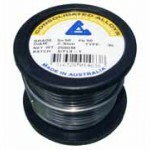 RESIN CORE SOLDER. 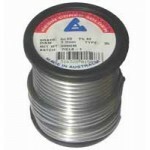 Buy quality Auto and Marine Electric Parts and Accessories online. 40/60; 40% tin, 60% lead. 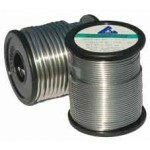 50/50; 50% tin, 50% lead. 60/40; 60% tin, 40% lead. 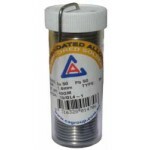 SOLT5050R1.6Solder 50/50: 50% TIN, 50% LEAD Resin core 1.6mm 40 gram tube For normal solder..
SOL5050R2.3Solder 50/50; 50% TIN, 50% LEAD Resin core 2.3mm 250 gram roll For normal solder..
SOL4060R1.6Solder 40/60: 40% TIN, 60% LEAD Resin core 1.6mm 500gram roll For normal sold..
SOL4060R3.2Solder 40/60: 40% TIN, 60% LEAD Resin core 3.2mm 500 gram roll For normal sol..
SOL6040R0.7Solder 60/40: 60% TIN, 40% LEAD Resin core 0.7mm 500 gram roll For soldering job..
SOL6040R1.0Solder 60/40: 60%TIN, 40% LEAD Resin core 1.0mm 500 gram roll For soldering jobs..
SOL6040R1.6Solder 60/40: 60% TIN, 40% LEAD Resin core 1.6mm 500 gram roll For soldering job..
SOL6040R3.2Solder 60/40: 60% TIN, 40% LEAD Resin core 3.2mm 500 gram roll For soldering job..